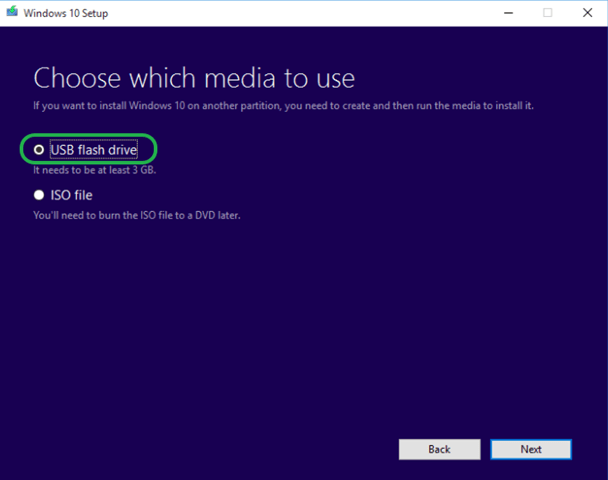 How to create a Windows 10 USB installation media. 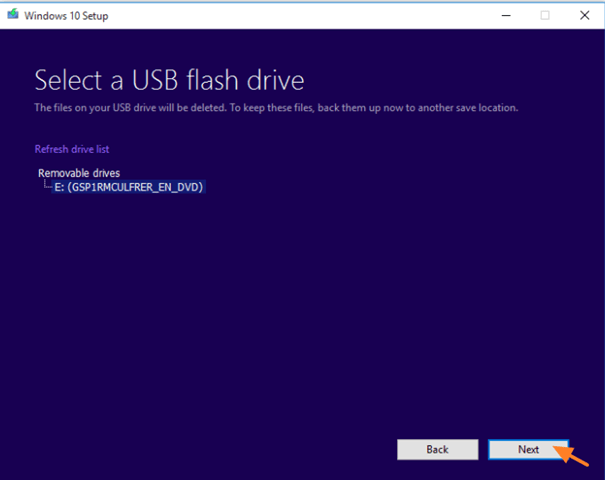 This tutorial will show you how to create a bootable USB flash disk to install or repair Windows 10. 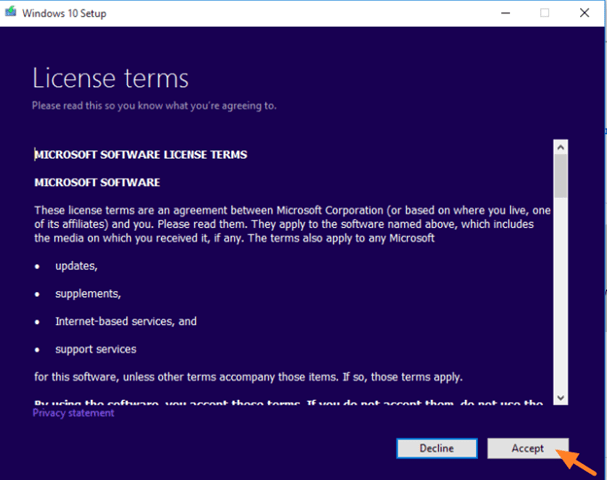 By using the steps in this tutorial, you will be able to download Windows 10 legally from Microsoft's site and create a Windows 10 USB installation disk, that can be used for a clean installation of Windows 10 or to repair Windows 10 problems. 1. Download Media Creation Tool. 2. Run Media Creation Tool and Accept the License Terms at first screen. 3. 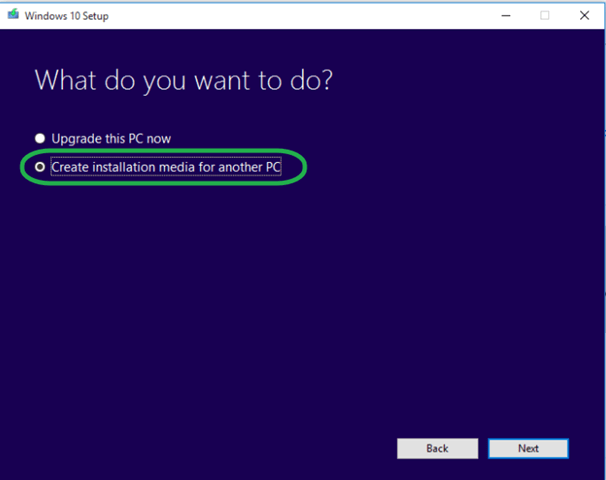 Select Create installation media for another PC. * Note: Leave these options untouched if you want to re-install or repair Windows on the current computer. 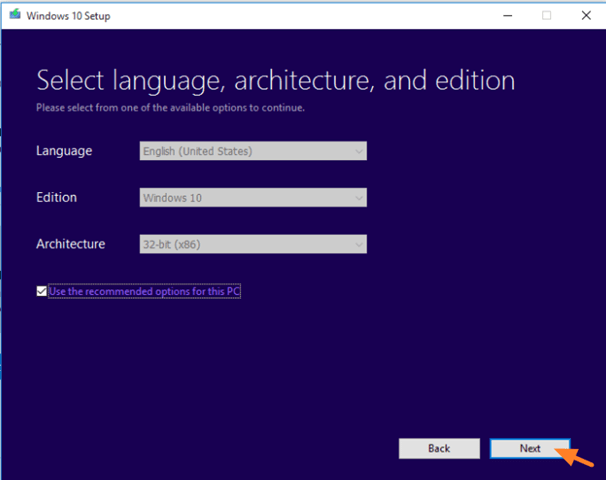 Otherwise, if you want to install Windows 10 on a different computer, then uncheck the 'Use the recommended options for this PC" checkbox and then select the Windows language, edition and architecture that you want to download. 5. Dot at USB flash drive and click Next. 6. Plug an EMPTY USB flash drive (at least 4GB) on the computer and click Next. 7. 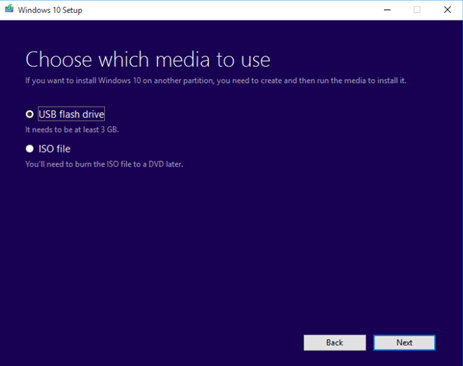 Media Creation Tool will now begin to download the Windows 10 installation files. 8. 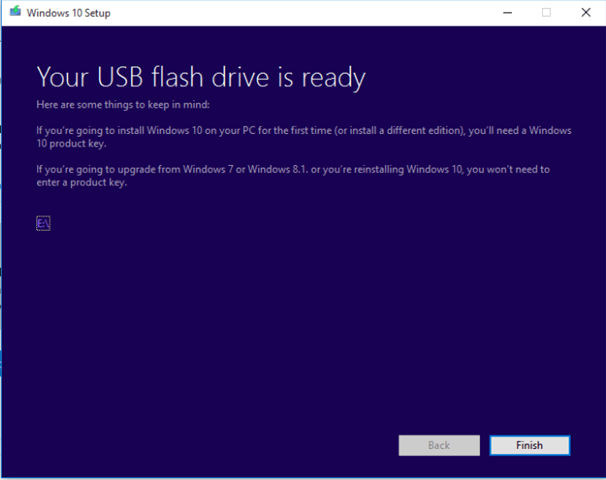 When all operations has completed, your Windows 10 USB installation media is ready for use. Click Finish. That’s all folks! Did it work for you? Please leave a comment in the comment section below or even better: like and share this blog post in the social networks to help spread the word about this. 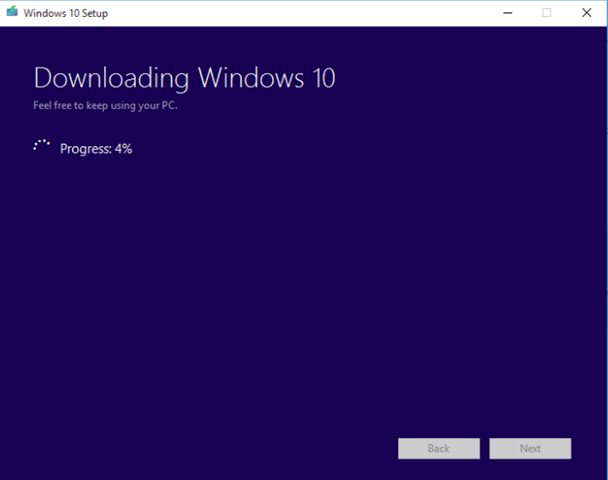 « How to download and create a Windows 10 installation DVD. » How to Repair Windows 10 with In-Place Upgrade. y ya terminado esto, no perderé mis archivos guardados? y mis documentos? @Jhony Rojas: No, you will not lose anything.